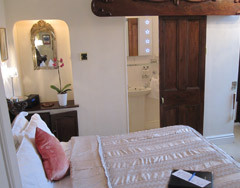 Welcome to Adelphi Guest House, Bed & Breakfast in Startford- upon-Avon. 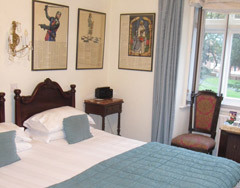 The Adelphi Guest House is ideally placed in the ancient market town of Stratford upon Avon . If you are looking to book a visit to the Royal Shakespeare, Swan or Courtyard Theatres these are only a short distance from the house, in the same location is the infamous pub,The Dirty Duck. Tourists wishing to explore the delights of historic Stratford and the family houses of William Shakespeare, these include, his Birthplace, Nash’s house, New Place, Hall’s Croft and Anne Hathaway’s cottage, will also find this the perfect location. The Civic Hall, Harvard House museum are also a few minutes walk. You will be warmly welcomed by owners Sue and Simon who aim to make your stay a friendly, comfortable home from home experience. The Adelphi is proving very popular with their guests and the award winning breakfasts, made from quality, locally sourced produce wherever possible, take a look at the menu. The rooms are decorated and furnished to a high standard in period style, from vintage tablecloths to antique furniture and original art. Great care being given to attention to detail, offering that little something different. The attractive bedrooms tastefully decorated & furnished in period style to a high standard with great attention given to detail, to make your stay comfortable and memorable. The six bedrooms at this popular guest house all have Digital TVs with DVD facility, radio alarms with Ipod docking station – Molton Brown toiletries – free Wifi access – courtesy refreshment trays and hair dryers, while ironing facilities are available on request. 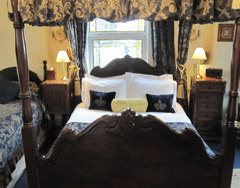 The bedrooms are warm and comfortable and a friendly informal welcome is assured. Adelphi Guesthouse is pefectly situated with the theatres, restaurants, delightful river walk, railway station and bus station ony minutes away on foot. It is also perfect for walking to the places of historic interest within the town centre. Come wander through Stratford, get a taste of Olde England. Using the Stratford district as a base, you can enjoy the delights not only of Shakespeare’s hometown, but also the nearby surrounding shire counties of Oxfordshire, Worcestershire and Gloucestershire. Enjoy Blenheim Palace and the Cotswolds to the south, Worcester and the Malverns to the west, Warwick Castle and Henley in Arden to the north, and all within an hour’s journey of Stratford itself. Stratford Racecourse is only a five minute walk from Adelphi Guesthouse. We are also an hour away from Cheltenham race course.